The Centraal Museum Utrecht asks Visualspace to design a brochure in six different languages. To maintain legibility in the case of so many languages, different typefaces are used. 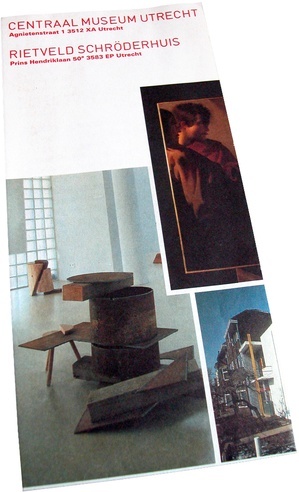 The front of the brochure is a collage featuring a cross-section of the collection and quotations about the role of the museum in society.